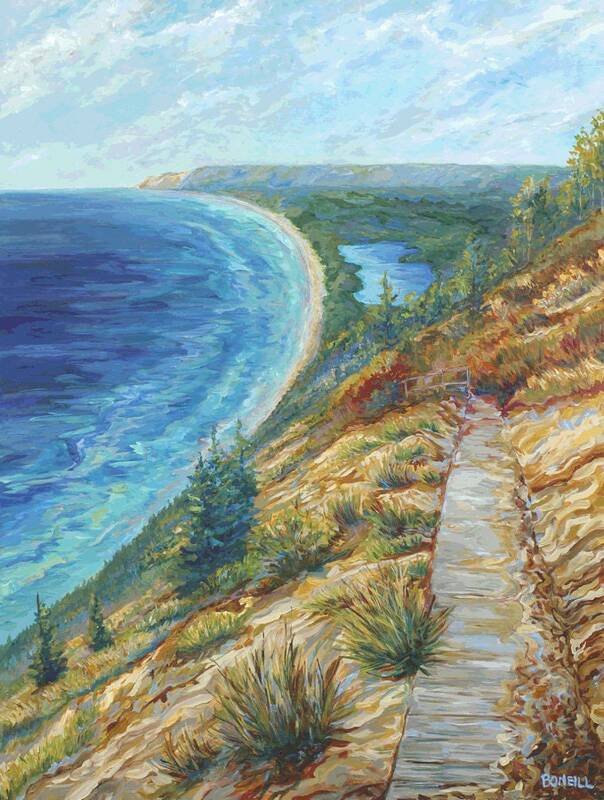 This is a giclee print of Empire Bluff, a Sleeping Bear Dunes inspired painting! The original piece was commissioned by a client, but before I painted it I had to see the landscape in person! What a privilege to hike the Empire Bluff trail! Halfway through we came to a clearing and could see a very beautiful South Bar Lake to the North. Continuing on we came out of the woods and found ourselves high on the bluff! We sat on a weathered boardwalk just in time to view a golden sunset! So awesome!